Chilliwack – Every year tulips are a sure sign that spring has arrived and this year some very special flowers are blooming in the planters outside of City Hall. In December 2018, the Office of the Mayor received the gift of tulip bulbs from the Kingdom of the Netherlands. A thank you letter was sent to Henk Snoeken, Consul General, and the bulbs were planted in the flower pots in front of City Hall in time for spring. During World War II, the First Canadian Army played a major role in the liberation of the Netherlands and its people from German occupiers. More than 7,600 Canadians died in the nine-month campaign to liberate the Netherlands. This tremendous sacrifice is still remembered with gratitude by the Dutch people. During the war, Canada also sheltered the future Queen Juliana and her family in Ottawa. During their stay, Princess Margriet was born in 1943 at the Ottawa Civic Hospital. The maternity ward was temporarily declared to be extraterritorial by the Canadian government, allowing the princess’ citizenship to be solely influenced by her mother’s Dutch citizenship. After the war, the Dutch royal family sent 100,000 tulip bulbs to Ottawa in gratitude and promised to send 10,000 more bulbs each year. For more information about Canada and the Netherlands in World War II, including the various battles that lead to the liberation of the Netherlands, visit Veterans Affairs Canada’s website at https://www.veterans.gc.ca/eng/remembrance/history/second-world-war/canada-netherlands. 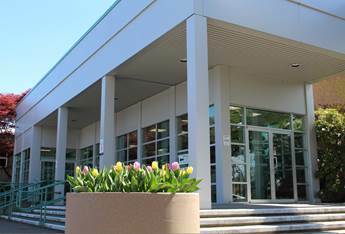 Be the first to comment on "Chilliwack City Hall Flowers And Friendship Bloom"